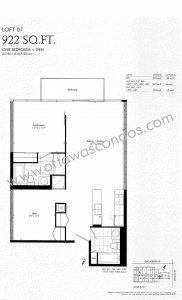 Gotham Condo Ottawa is Lamb Developments first condominium building in Ottawa. 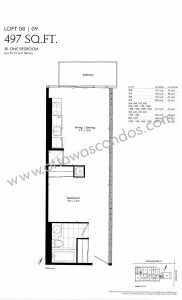 This modernized 17 storey condominium building contains 240 units. The modern design combines large glass panes with solid steel and charcoal brick for a bold look. 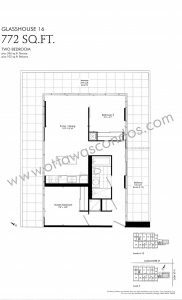 There are a variety of floor plans available in this building. 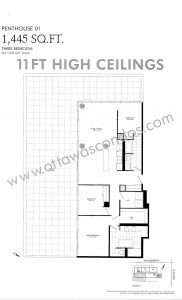 Photos of each floor plan are contained within this page for ease of browsing. 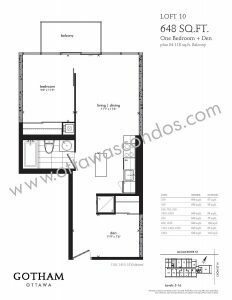 The floor plans offer a variety of studio, 1 bedroom, 2 bedroom and; 3 bedroom units. 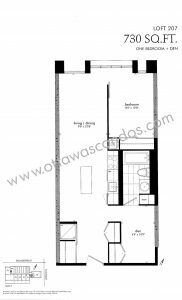 They are available in an assortment of two-storey loft houses, single-level lofts, glasshouses and penthouses. 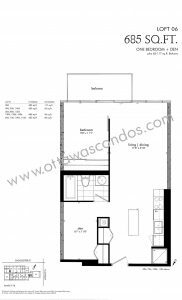 The units range in square feet from the smaller 426 sq. 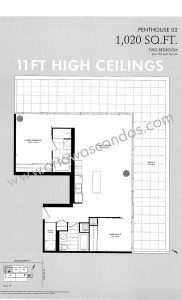 ft. to the larger 1445 sq ft. Quality finishes include; hardwood floors, granite counter tops, floor to ceiling windows, and sliding doors to open up the space. 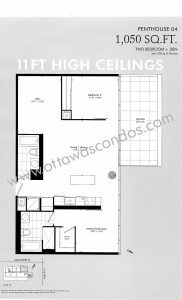 Exposed concrete walls and ceilings throughout the condos give a modern feel, unique to this contemporary building. Hallways also showcase exposed pipes, venting, lighting, and ceilings, bringing the modern feel through the entire building. 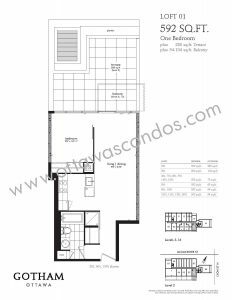 Each condo has ensuite laundry and top of the line stainless steel appliances, including gas stoves. 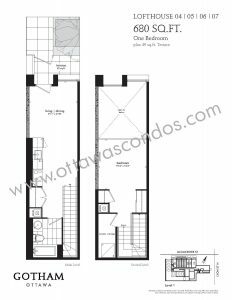 A unique and sought after feature at Gotham Condo Ottawa, is the gas lines installed in the kitchen and on each condo’s private balcony. 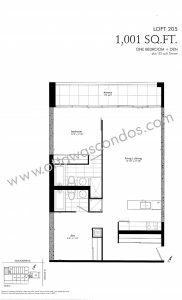 This allows for residents to have gas stoves in the kitchen, and bbqs outside on balconies. 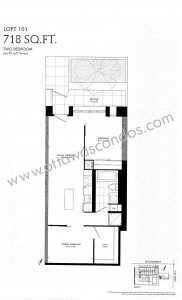 The building features a party room for residents to entertain their guests. The party room offers a full kitchen, large dining table, and seating areas for socializing. There is also an outdoor patio off of the party room with a dining table and bbq for residents to enjoy. 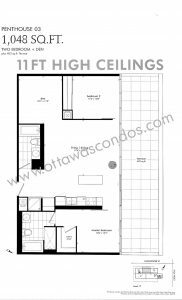 Every unit in Gotham Condo Ottawa has it’s own private balcony. 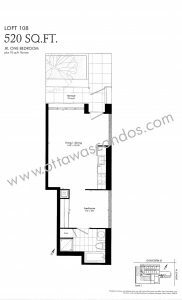 Located conveniently in Ottawa’s Centretown, Gotham Condo Ottawa is walking distance to many amenities. Shops, restaurant, nightlife, and cafes are just steps away. The Byward Market, Parliament Hill and many other cultural scenes are also within the vicinity of this building. 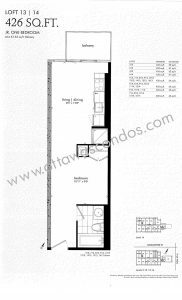 Located strategically Gotham Condo Ottawa is also nearby Chinatown, Little Italy, Lebreton Flats and Hintonburg. 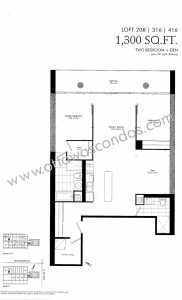 Allowing for ease of access to all these neighbourhoods, and many, many amenities nearby! 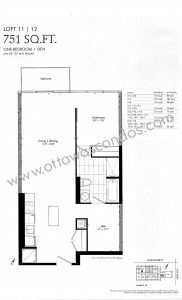 Gotham Condo Ottawa with it’s Centretown Location puts The Gotham Condo Ottawa steps from it all. The majority of Ottawa’s downtown vicinity is located in the business sector, just outside of the Byward Market. Condos in this district are located in Canada’s political core, with many units boasting views of the Parliament buildings and other government structures. 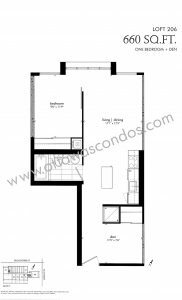 This area is conveniently nestled between Bronson Av and Elgin St and is in close proximity to the Hwy 417. 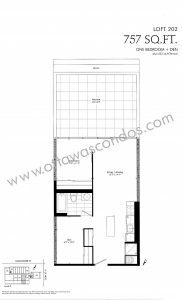 The downtown sector is 15 minutes from Ottawa International Airport, 10 minutes from the VIA Rail train station and 5 minutes from Ottawa’s Greyhound Station. The hustle and bustle of business during the day is complimented by calm evenings. Nightlife isn’t far however, as Elgin St. and the Byward Market feature a wide array of restaurants and bars open late. Fine dining is prevalent in the area, including some of Ottawa’s best steakhouses and seafood eateries. Cultured palettes will find thrill knowing Ottawa’s Chinatown and Little Italy are also nearby. This area also is home to many international grocery stores as well as local names. Shopping enthusiasts are close to The Rideau Centre and many boutiques. Centretown features Canadian culture as one of its main highlights. The National Arts Centre is home to some of the best performances, seminars, and exhibitions in Ottawa. If gazing at Monets is something you fancy, the National Gallery of Canada is within walking distance from the Gotham Condo Ottawa. Other museums in the area include the Museum of Nature, the Canadian War Museum and the Museum of Civilization. 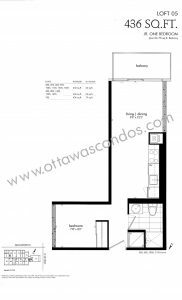 Living in the heart of downtown Ottawa doesn’t limit those recreational enthusiasts. The Ottawa River borders the Northern area of Centretown, with Quebec just a short drive across the Portage Bridge. The Gatineau Hills, a 10 minute drive onto the Quebec side, feature a wide array of hiking paths, biking trails, and ski hills. One of Ottawa’s most well known attractions, the Rideau Canal, runs through Centretown. The Canal is the longest skating rink in the world, attracting skaters not only for its length, but with its many “Beavertail” stands. Many main transit lines run through the downtown center, facilitating transportation around Ottawa.